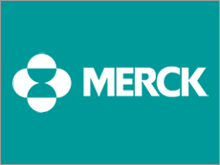 Merck & Co., Inc. (NYSE:MRK) is aiming to take a lead in responding to the global health challenge that the so-called “superbugs” are posing to modern medicine with its planned acquisition of antibiotics firm Cubist Pharmaceuticals Inc (NASDAQ:CBST). The buy-out deal, estimated to be worth $8.4 billion to $9.5 billion, was announced on Monday, and Merck hopes that its acquisition of Cubist will be a way towards strengthening its presence in acute medical care, citing antibiotic resistance as an area that is currently not addressed sufficiently in medical care. Early in April this year, the World Health Organization warned of the emergence of superbugs that resists most powerful antibiotics available, ushering “ a post-antibiotic era” characterized by common infections as the most common threat to life. Estimates from the U.S. Centers for Disease Control puts mortality figure from superbug infection last year at 23,000. The number of infected individuals was estimated to be 2 million. Acquisition of Cubist Pharmaceuticals Inc (NASDAQ:CBST) will mean that Merck & Co., Inc. (NYSE:MRK) will have an access to its portfolio of antibiotic drugs, the most noted of which is Cubicin, an antibiotic for serious skin infections and bloodstream infections. Apart from Cubicin, Cubist is also popular for Ceftolozane/Tazobactamis, its lead drug for complicated urinary tract infections. Approval for the drug is expected from the U.S. Food and Drug Administration later this month. While several pharmaceutical firms cut on antibiotics business in the past due to low profits, Merck & Co., Inc. (NYSE:MRK) renewed thrust in the field sees superbugs risks such as bacterial pneumonia as an area of priority. According to the company, its own strengths in terms of global reach combined with that of Cubist lead in antibiotics development will translate into a strong position in acute hospital care setting. Cubist CEO Michael Bonney also pointed out in a press release that the deal with Merck & Co., Inc. (NYSE:MRK) will result in immediate substantial value for shareholders. Merck announced on Monday that it is paying Cubist $102 a share, a figure worth 37% more than the closing price of Cubist share on Friday.